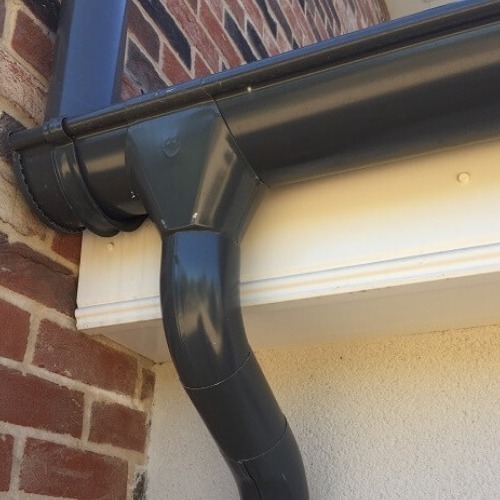 Our Black Steel Gutter system is available in 100mm and 135mm size options. Both sizes connect to the 87mm downpipe system. These gutters are manufactured by leading European steel supplier Galeco and carry a 35-year performance guarantee. 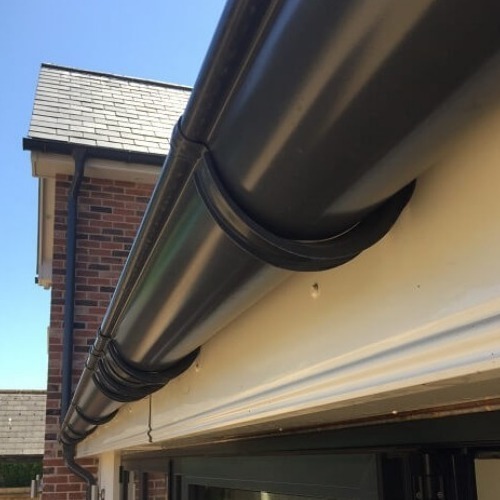 Our black steel guttering is a perfect choice for those seeking a traditional gutter appearance but with all the benefits of galvanised steel. 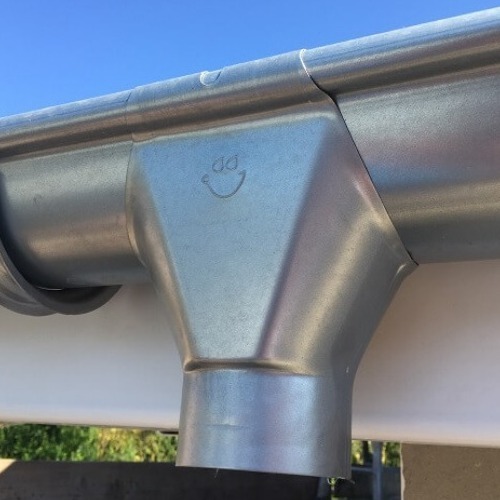 Stronger than PVC but lighter than Cast Iron, all of our steel gutters carry a 35 year structural guarantee and an industry-leading 15 year guarantee on the paint finish. Galeco black steel gutters are available from stock in two sizes, 100mm and 135mm – both have a greater carrying capacity than their PVC equivalents. The 100mm system is actually 107mm internally, which is the equivalent size to a standard half round PVC gutter but with a slightly deeper profile.